Alastair and Linda Ferrie are native Scots and have been associated with the work in Dundee, Scotland for 11 years. Estes has been involved in this work for 11 years and previously in Alastair’s other gospel work in Glasgow. Both He and Linda have had significant health challenges, but they have met those challenges with faith and faithfulness. The church in Dundee has continued to grow and prosper due to their hard work and encouragement. Alastair is also a published author and holds a Ph.D from Stirling University. 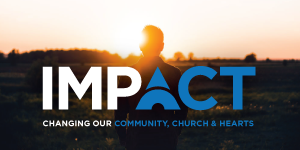 We are fortunate to partner with such capable people in taking the gospel to the world. The Ferrie’s children are all grown now and are scattered around the British Isles, Australia and North America. They also have seven grandchildren of which they are justifiably proud! 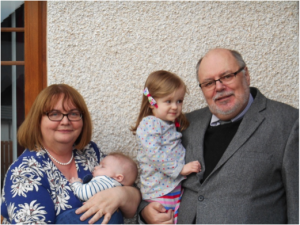 Pictured above with two of their grandchildren, Nathan (aged 12 weeks) and Faith (aged 2 years). 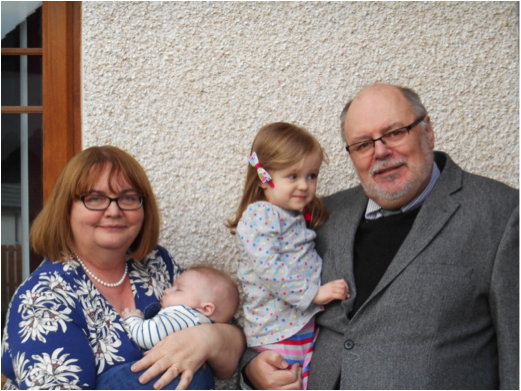 Alastair and Linda have been working in ministry in Scotland since 1974 (the date of their marriage). Alastair has a bachelors degree in Physics with Mathematics from Paisley College of Technology, and a Masters and Doctoral degree from the University of Stirling, Scotland. Alastair and Linda have 5 children and 7 grandchildren. They have labored in three of the four largest cities in Scotland (Glasgow, Edinburgh and Dundee). Currently working in Dundee, they are working to build a congregation of the Lord’s people there.